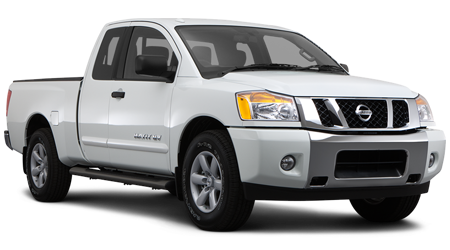 Have you been searching for a full-size pickup truck that can tackle all of your heavy-duty jobs while providing you with a comfortable ride? If so, head over to Charlottetown Toyota in Charlottetown, Prince Edward Island (PEI). At our dealership, we carry all of the latest Toyotas in stock for motorists to survey including the 2016 Toyota Tundra. As one of Canada’s top-ranked Toyota dealerships, we have served PEI for a number of years with our best prices on all Toyotas. Stop by Charlottetown Toyota at 1 Superior Crescent and discover a new Tundra today. There are a lot of great options in the full-size pickup truck segment, so let’s compare the 2016 Toyota Tundra against the Nissan Titan and see how it performs. While both of these vehicles are classified as full-size pickup trucks, the new Tundra will save you thousands of dollars in the initial purchase. The Tundra has a MSRP of $29,035, while the Titan starts at $41,498. That’s a difference of $12,463 in favor of the Tundra! With the Tundra’s affordable price tag, you can get into a full-size pickup truck while staying on budget. While full-size pickup trucks aren’t recognized for their ability to save drivers on fuel, the Tundra can save you money on fuel over the Titan. The Tundra comes with a 5.7-L V-8 that is capable of getting 17.3L/100 km and 13.0L/100 km. In comparison, the Titan’s 5.6-L V-8 can return 19.7L/100 km and 14.3L/100 km. If you’re looking for full-size pickup truck that you can enjoy driving on a routine basis, then check out the 2016 Toyota Tundra. With the Tundra’s affordable price tag, fuel-efficient engine and lengthy list of safety features, it has the edge over the Nissan Titan. Visit Charlottetown Toyota in Charlottetown, Prince Edward Island (PEI) at 1 Superior Crescent and test drive a Tundra today.